MIDLAND, Texas (Sept. 3, 2018) - The Frisco RoughRiders, the Double-A affiliate of the Texas Rangers, dropped a 5-1 decision Monday against the Midland RockHounds in the final game of the 2018 season. * With Monday's loss, the Riders finished the season with a 60-80 record. 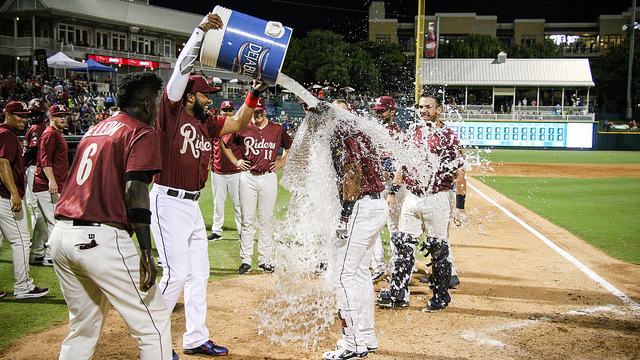 * The Riders took a 1-0 lead in the first inning but Midland scored five unanswered to take the finale. * After a shaky start, Pedro Payano retired the final 11 hitters he faced. * Frisco's 36-34 record in the second half marks the club's best single-half record since going 38-31 in the first half of 2016. The 2019 season is set to begin April 4. The full schedule and ticket information will be released soon. Stay tuned to RidersBaseball.com for more information.